It has been announced by a domestic inquiry commission in the Maldives that the resignation of President Mohamed Nasheed was legal. 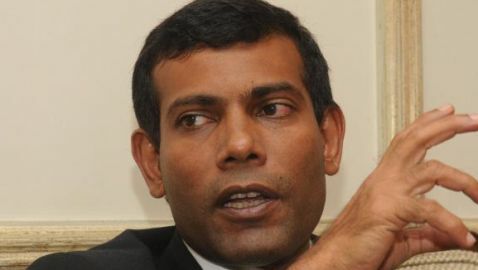 The commission also determined that Nasheed was not forced to resign at gunpoint, which he has claimed. The ruling was issued on Thursday and Nasheed immediately rejected it. After the report was released his supporters started protesting again in the streets. “The resignation of President Nasheed was voluntary and of his own free will. It was not caused by any illegal coercion or intimidation,” the report said. “With regard to the idea that there was a ‘coup d’état,’ nothing in the Maldives changed in constitutional terms — indeed, the constitution was precisely followed as prescribed,” the report said. The report was talking about the Vice President at the time, Mohammed Waheed Hassan and him taking power after the resignation of Nasheed. Nasheed said that he claimed a gun was held to his head, forcing him to resign, but he since has said that it was a metaphor. The commission, in issuing its ruling, said that police brutality occurred against supporters of Nasheed when he resigned. “It is evident that Maldives is experiencing the challenges of its transition. It is a young democracy with many new and fragile institutions and bodies which are contending with persistent elements and tendencies of a former political culture,” the report said.